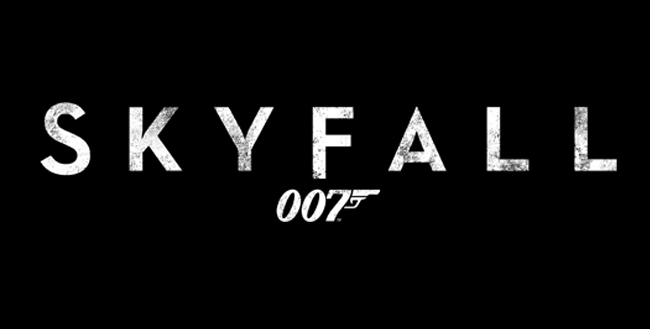 Last night I saw the new James Bond movie Skyfall. We arrived to see the 7PM show, but it was sold out. We were the next in the line (no exaggeration) when they put the sign up that the 7:30PM show was sold out. So we bought our tickets for the 8PM show and waited at Ben and Jerry’s. The film is very, very good. I rank it with two of my other favorites, From Russia with Love and Goldeneye. Yes, I found it better than Casino Royale (But then, I’m a fan of the book, and the storyline of the movie is not as good as the book’s). Craig’s Bond has been hailed in the media as tougher but that is not my take. 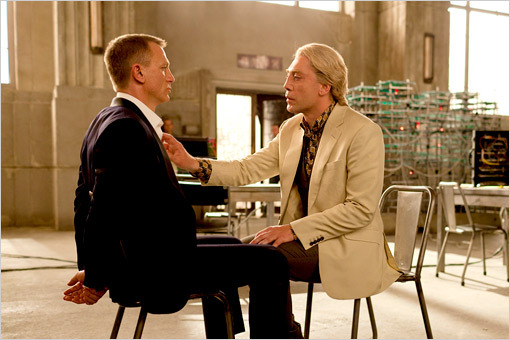 Craig’s bond in this film is simply more mature, a little slower to act because he has learned he is not invulnerable. Javier Bardem is a great bad guy. I loved him in No Country for Old Men and was worried I would be disappointed but alas I was not. he ranks up there with Blofeld and Dr. No in audacity but has far more believability factor, more akin to Christopher Lee’s Scaramanga. The film explores Bond’s psyche as both an orphan and a virtual ward of the state under the care of his surrogate mother, Judi Dench’s M. As a person who often finds himself trying to figure out what makes people tick, I appreciated that angle on the Bond persona. From the beginning of the reboot it has been my understanding that the goal was to show how James Bond came to be. It is his origins. Casino Royale lacked many of the classic Bond concepts–Miss Moneypenny, Q, gadgets, cars with machine guns and such. Quantum of Solace was really a sequel to Casino, so, it lacked some of that as well. But the new film gives us Q and Moneypenny as completely modern characters yet with a tip of the hat to the tradition. Plus we discover that Bond’s Astin Martin is tricked out and ready for duty. The film was not perfect, though (That is why From Russia With Love is still #1). For starters, some of the plot felt recycled. At times it reminded me of the Man with the Golden Gun and at other times it felt like Goldeneye–especially the whole business of a former MI6 Agent turning bad. M being in danger and MI6 Headquarters being targeted was almost a direct rip off of The World is Not Enough to such a degree I kept expecting Christmas Jones (Denise Richards) to show up. I also find it strange that, three films into the reboot, they are already pulling out the “Bond is getting too old” routine. Yes, I know that Fleming returned to that often in the books as the constant reminder that 00’s have short lifespans but it seems a little to soon for Craig when you consider Roger Moore played Bond at near 60 years old. However, none of that kept me from enjoying the film. My personal high point was the interrogation of Bond by Bardem’s Silva. Bardem is such a powerful presence and Craig goes toe to toe with him. I also enjoyed the battle scene in the Komodo dragon pit in the Macau casino and of course, the ending. Not the ending where M dies, but the reset ending where Bond walks in, puts his coat on the coat rack, talks to Moneypenny and then is ushered into Ralph Fiennes (Voldemort now runs MI6!) office as the new M and is handed a “Top Secret” envelope. That is when Bond becomes Bond as we know him from film (which is very different from the Bond of print). That particular scene felt very Sean Conneryish. Just as it should be.